Self-consciousness is the death of a good actor. Confidence is how you succeed in the audition room. Having complete confidence at auditions means not second guessing your choices, not judging your character or yourself. Being self-confident in the audition room will prevent you from coming to a mental roadblock that always hinders artist’s performance. 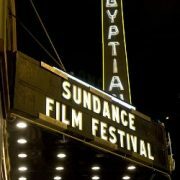 Most of the time, casting directors can instantly see how confident the actor is or going to be, even before you slate. This means that as soon as you walk into the room, you have to own it because this will determine the character choices you’re about to make. You need to get back that self-trust of your performance that you had yesterday when practicing at home, and if you don’t — you’re risking of not being fully present in the moment, which is a vital part of acting. During auditions, being nervous is not the same as being uncertain. Everybody’s nervous — it’s human — but not everybody distrust the choices they are about to make behind that door. 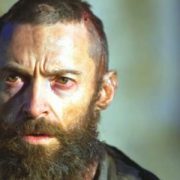 The more experience an actor has, the easier auditioning process gets. However, you don’t have to go through all those years of poor auditions and self-conscious choices; you can avoid them by learning how to have more confidence at auditions, performances, on the set, during an interview, and so forth. Begin at the beginning, and do not reinforce your fear of failure — stop it at its roots! What you do have to be when you walk into that room and see a bunch of people in front of you is excited, ready and confident. The choices you’ve prepared for your character should give you goosebumps because of how strongly you wish to share your performance with others. That feeling is confidence in yourself, and you cannot go there without it. First of all, always remember that you have accomplished something just by sitting in that hallway. You’ve beaten hundreds or maybe thousands of other participants that were submitted for the part, but casting directors picked you because you had something to offer. They liked you, they want to see you, and most importantly — they really want to cast you. All you have to do now is show up, which you’ve done, and demonstrate that their choice was indeed correct, which you’re about to do. Make sure that you prepare for your part. 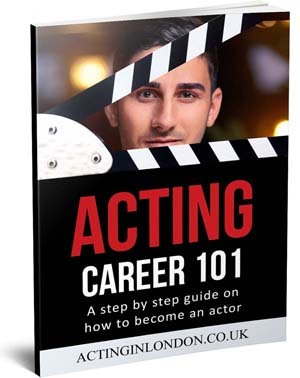 You already had your acting training, whether it was in one of the drama schools or acting classes; you know the questions you have to ask yourself to grasp the character. 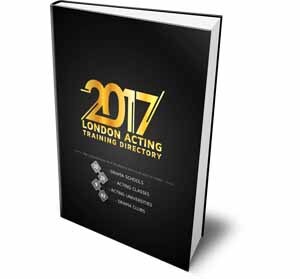 You already have your methods of how to prepare, how to learn your lines and how to deliver. So to quote Nike: Just do it! Do not focus on the end result of booking the job. If you ask a lot of other actors, you’ll learn that a lot of them booked the part when they didn’t really cared for it or they didn’t believe that they could get it. It’s just human psychology; they didn’t want it, and in turn they were more confident in the choices they made, they were less nervous and stressed about the auditioning process. Push out all your negative thoughts. Your focus should be on the integrity of your work; there’s no need to be in your head. Improvisation classes are great for learning to get out of it, but if you haven’t been to one just yet, then the best thing you can do is tell yourself that you are going to deal with all the trash in your head in 30 minutes, right after the audition. Put it on pause, and pay attention to what is more important right now. Finally, do not label your unsuccessful auditions as failures, because they are not failures. Look at them as an experience and a performance. You’re in this thing to act, and that’s what you are doing regardless of the place you’re doing it at. 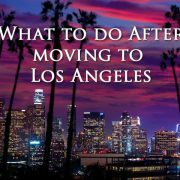 As soon as you leave the room, start looking forward to your next audition and the choices you’re going to make then. Try to be happy about what you did, and if you made mistakes — learn from them, don’t grief. 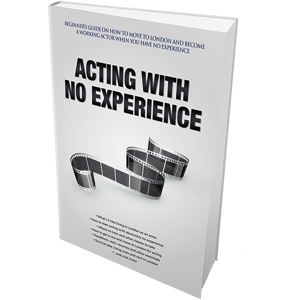 This experience will make you a better actor. 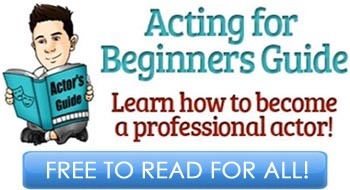 Having confidence at auditions is about knowing your lines and getting out of your head. Experience and knowledge teaches you that, and with every single audition you will be getting more confident, you will learn how to do better in front of those people, but most importantly, it will teach you how to have fun. Never allow doubt, self-consciousness and self-judgment to prevent you from giving a great performance. Forget about everybody in the room; just act, as that’s why you’ve been put there and that is what they want to see. 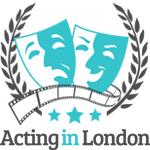 Casting directors are looking at hundreds and sometimes thousands of actors a day. They don’t want to do that, but they have to. Remember, they want you to succeed just as much as you do; they’re not your enemies, therefore, you don’t have to feel uncomfortable, nervous, scared, self-conscious and uncertain around them. Show what you have, because they want to see you at what you do best — perform. Blow them away! Hi, It is easy to say what is said in this article but how? I prefer the word faith to confidence. Confidence is hard to gain and lost in an instant. It is also often false. My experience of teaching Drama School graduates is that they have no idea how to make effective choices. Often their choices are arbitrary cliches. They seem to have no idea of how to extract the truth from a script and explore the full range of possible choices. Auditioning is the most wonderful challenge to rise to that any actor can encounter. It is the ultimate test of your ability.